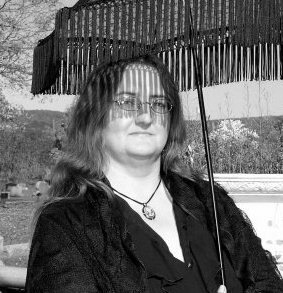 Raised in the Finger Lakes region of Upstate New York, but forever longing for the white sands of her birthplace in New Mexico, Pamela has always loved mysteries and the macabre. Combining the two in her own writing, along with her love for historical research and genealogy, came naturally. Hours spent watching 'Monster Movie Matinee', 'Twilight Zone', ‘Kolchak: The Night Stalker”, a myriad of Hammer Films, and devouring books by Stephen King, Tanith Lee, and Anne Rice probably helped, too. Outside of her work as a novelist, Pamela has written numerous historic articles for the Tioga County Courier, an Owego, NY newspaper. She has done genealogy research for family and friends and was a Civil War reenactor for close to ten years. In 2014 Pamela joined the ranks of writers for the online magazine, The Good Men Project. When not writing, she’s trying to scrapbook, watch bad B-Movies, take road trips with her husband, and semi-tame the crows that frequent their back yard.